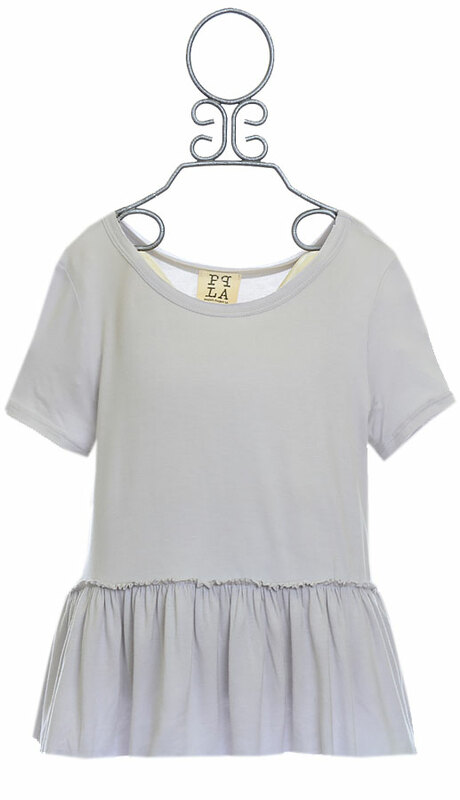 $21 - A fun way to dress up her every day look just a touch, this new top is from PPLA. Available in tween sizes, the shirt will look great with her favorite skinny jeans. The soft, light grey is a shade that is easy to mix and match with all her accessories. The scoop neckline is framed with short sleeves. The casual fit falls to the hem that is dressed in a ruffle. We know that this shirt will become a fast favorite. 95% Rayon and 5% Spandex. Hand Wash Cold, Line Dry. Made in the U.S.A. SIZE SM 7/8 AND LG 14/16 LEFT.